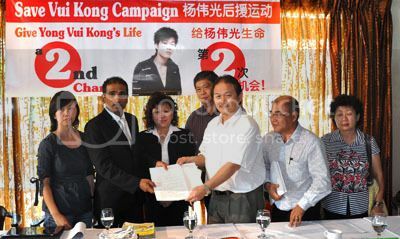 Malaysian politicians and activists have started the campaign to save 22-year old Vui Kong from the death sentence in Singapore. 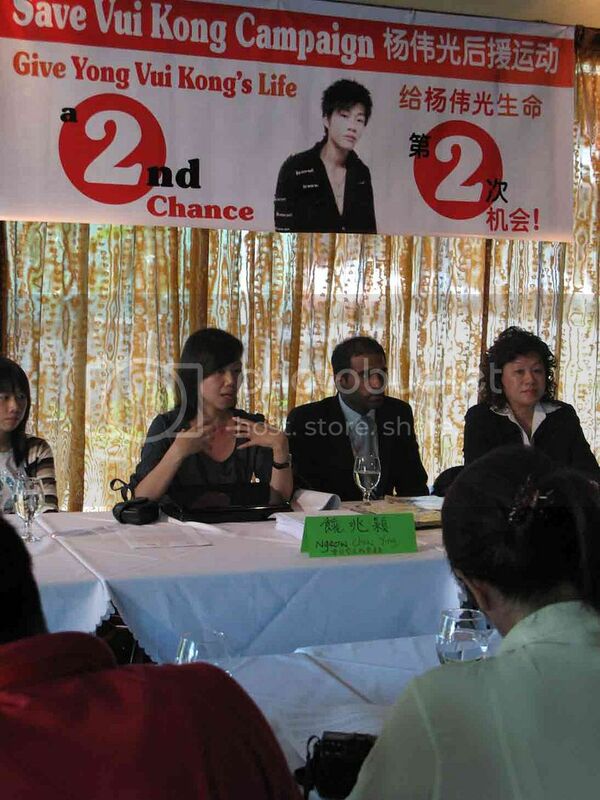 The event kicked off with a press conference held in Sandakan, Sabah, the hometown of Vui Kong, on 21 July. Sabah Member of Parliament, Datuk Chua Soon Bui, and Vui Kong’s lawyer, Mr M Ravi, were present to lend support to the campaign. 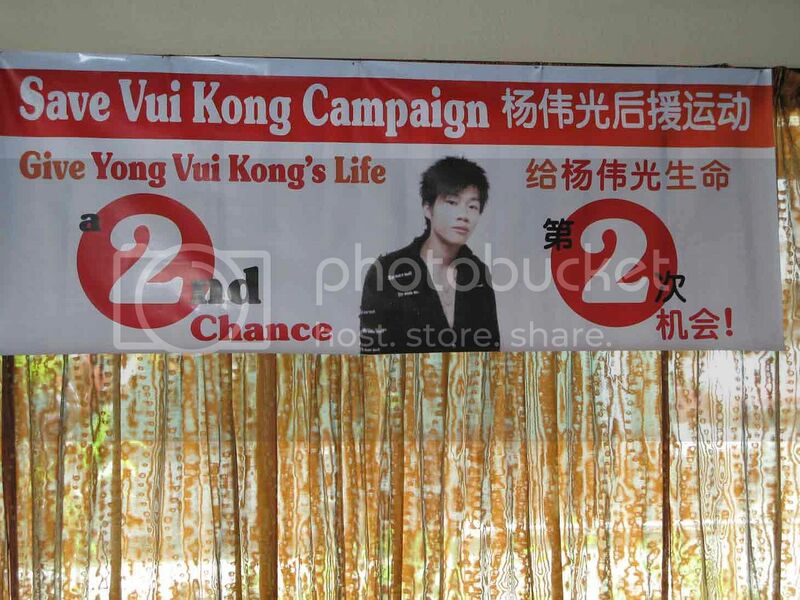 So were Vui Kong’s younger sister, Vui Fung, and one of his borthers, Yun Sang, as well as dozens of relatives and supporters. Datuk Chua also pointed out that Yong can give back to society by reaching out to young people who might be vulnerable to drug traffickers. Rather than kill him, he should be allowed to repent and share his story. 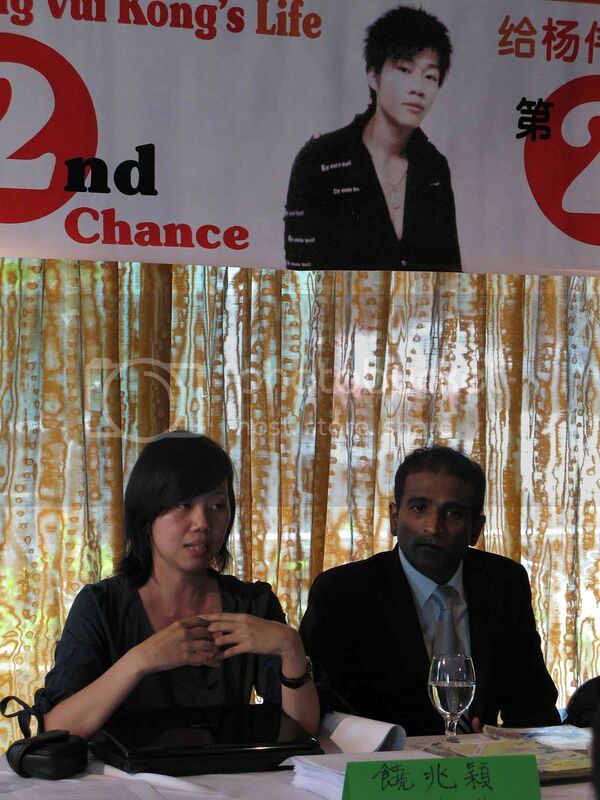 Vui Kong has until 26 August 2010 to file an appeal for clemency with the Singapore president. As there is only about a month before the deadline for the clemency appeal, TOC will carry news and reports of the campaign as and when they happen. 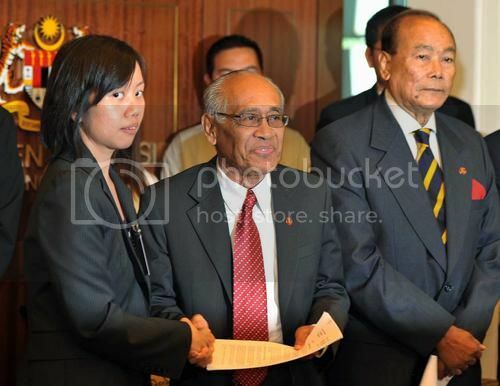 Here are some pictures from Sabah of the press conference on Thursday. 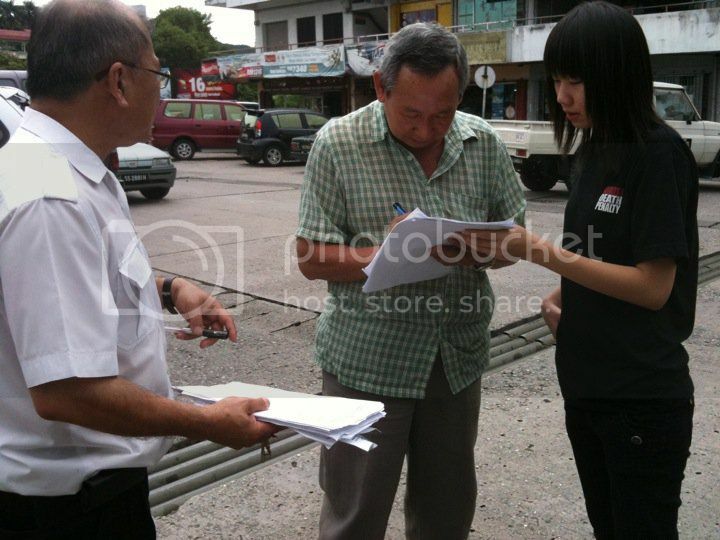 Yong Vui Fung (in black), Vui Kong’s sister, on the streets of Sabah campaigning for signatures to support the petition to save her brother. 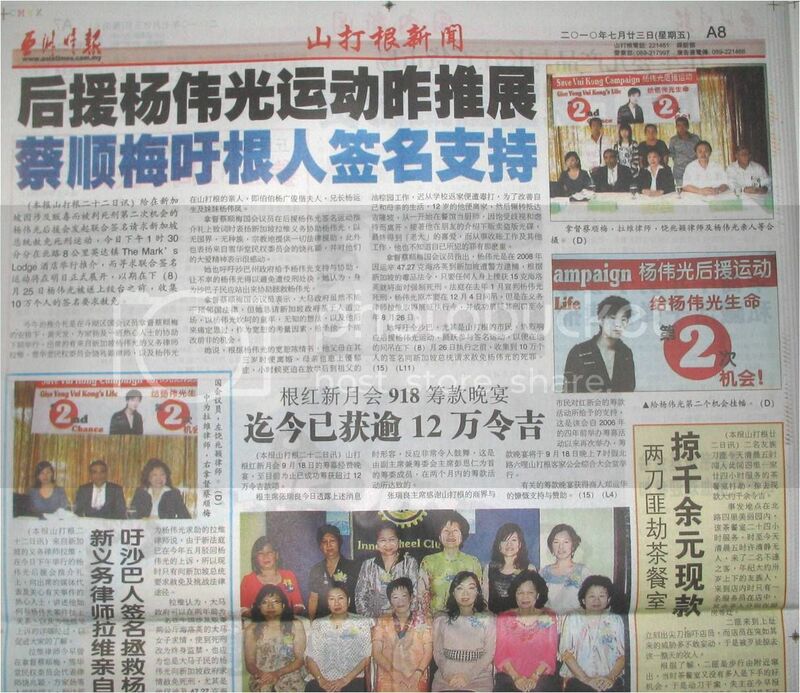 Sabah newspaper reports on 24th and 25th July of the launch of the campaign. 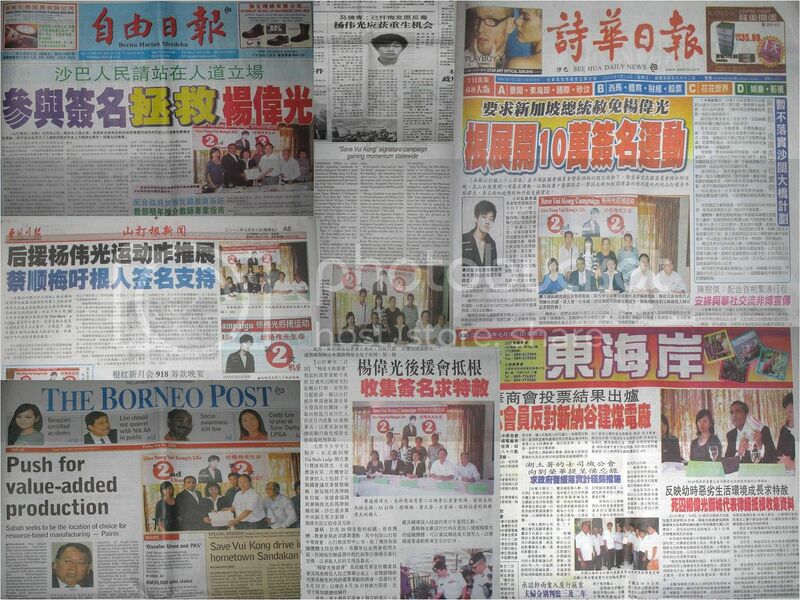 Singapore’s media was totally silent on the campaign’s launch. May happiness spread in all the four directions. I’m doing well here. Everyday I practice (my Buddhism) and study. 3rd Brother, Second Brother come to see me many times every week. 3rd bro, 2nd bro and I are healthy. 3rd bro’s face used to have a lot of acne, now less. He also cut his hair, looks fresher, and much more handsome. 3rd bro and 2nd bro and I know how to take care of ourselves, to choose what’s best for ourselves. I read a lot here. If I come across a good book, I will recommend to 2nd and 3rd Bro. When they visit me, I will take the chance to share the Dharma, give them the proper outlook. I have confidence that they will both succeed in their own paths. Mom, have faith in the Buddha and the Bodhisattvas! Read more when you’re free. Best is read the Buddhist Scriptures. Occasionally, watch the Buddhist VCDs, or go to the temple and listen to Dharma talk, practice Buddhism – many benefits! Because we are all bound to pass away one day, our bodies are impermanent. Just like wearing clothes need to pull back (I have no idea what the phrase means, even though the word 挽 means ‘pull back’), when you know the Dharma, it will be useful after the body dies. So recite the mantras when you have time. That’s best. 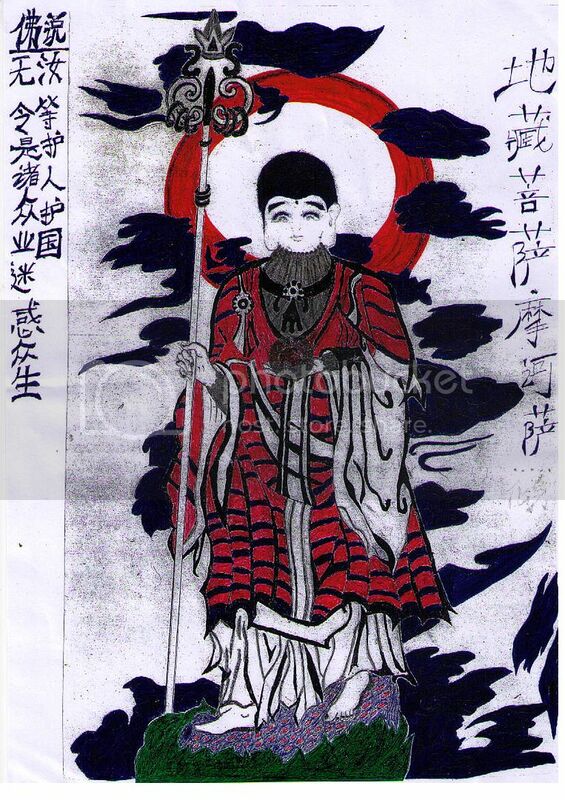 Namo Amitabha”…. Always recite, Mom! Recite with sincerity, and faith. Vui Kong spent weeks drawing this picture of the Buddha on his knees. He would wake up at 4am every morning, while everyone else was still asleep on death row. He would say his prayers, do his chants, and then remain kneeling as he paints this picture. 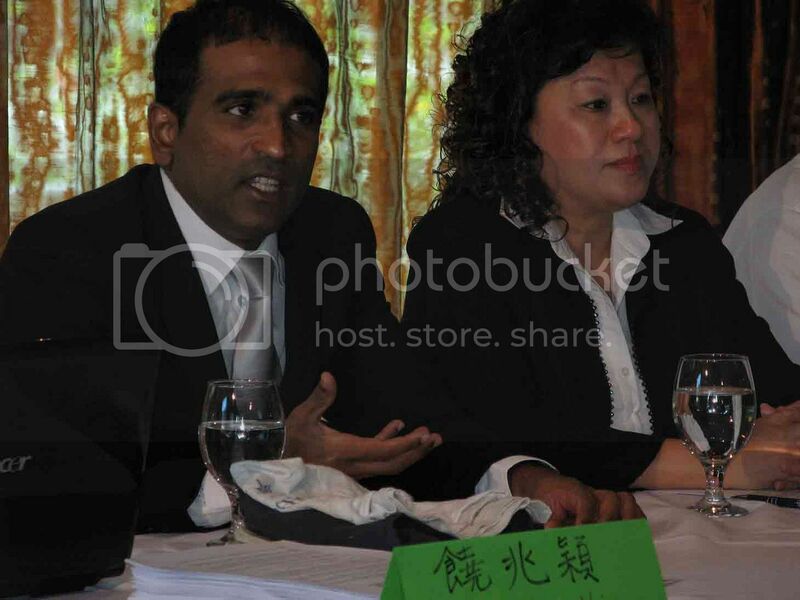 TOC calls for a moratorium on the mandatory death penalty in Singapore. Here is our campaign video.